I receive several emails and updates about sales, deals and coupon codes in hair, health, fitness and beauty and more every week so I’ve decided to start collating them all in one email every week. Below are this week’s sales, deals, and coupon codes in health, beauty, fitness, hair care, household and more across a wide variety of retailers such as Starwest Botanicals, Sally Beauty, Target, Thrive Market, Amazon and more. Weekly specials. 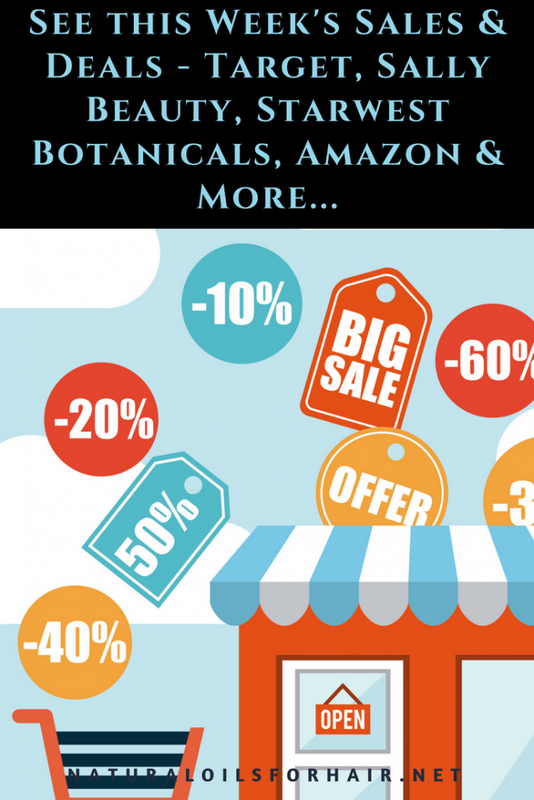 Up to 15% off at Starwest Botanicals. 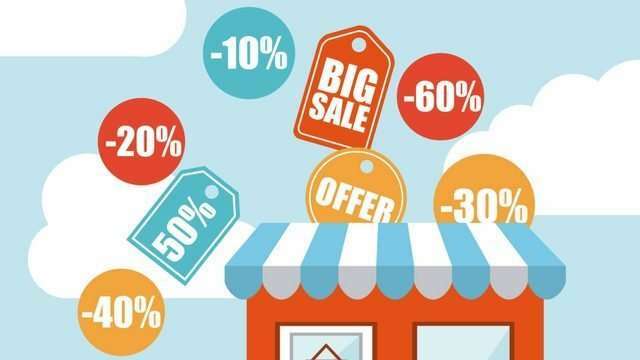 See the deals HERE. 25% off your first order at Thrive Market. See their range of products HERE. Save 25% on select products from Pantene with promo code 25GOLDSERIES. Ends May 31. Save 10% on select products from Amco with promo code 10CITRUS. Ends May 31. Save 25% on select products from Pantene with promo code 25GOLDSERIES. Ends June 1. Save 25% on select products from Black Canyon Home and Body with promo code 25APRIMANG. Ends June 1. Save 15% on select products from Bassé with promo code 15B073VF9YHL. Ends June 11. Save $2 on select products from Cascade with promo code 2PLATPLUS. Ends June 30. Save 20% on select products from baby deedee with promo code 20SLEEPPLAY. Ends June 30. Save $3 on select products from Nfi Consumer Products with promo code 3JKD. Ends June 30. Save 20% on select products from Swiffer with promo code 20HMSBEDROOM. Ends June 30. Save 15% on select products from Braun with promo code 15BRJINFLAMJ. Ends June 30. Save 15% on select products from Braun with promo code 15BRJINFLAMJ. Ends July 1. Save $3 on select products from Nfi Consumer Products with promo code 3JKD. Ends July 1. Save $5 on select products from Chef Soraya with promo code 5CHEF. Ends July 31. Save $4 on select products from Powerbar with promo code 4TRYPOWERBAR. Ends Aug 7. Save $2.00 on select products from TheraBreath with promo code 2MW4KIDS. Ends Sept 8. Save 50% on select products from thinkThin with promo code 50THINKTHIN. Ends Sept 13. If you would like to be notified of all the sales, deals and coupon codes on a weekly basis in addition to the holiday, Cyber Monday and Black Friday deals, be sure to sign up for the weekly updates HERE.